To edit the Taxes settings, select the Taxes button. 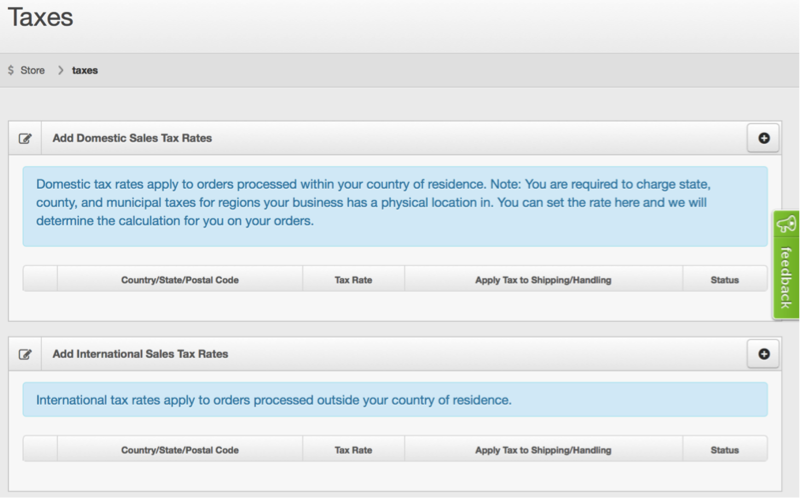 Select the + button to add a tax rate. Select the state from the dropdown or add the zip code and fill in the tax rate. Be sure to hit the Save button. You can also add international rates by selecting the + button. Be sure to hit the Save button when you are finished entering in your tax information.